We’ll get you out into the stunning landscapes to experience Ireland the active way, where you’ll discover it’s amazing history and culture, whilst engaging with it’s friendly local people. 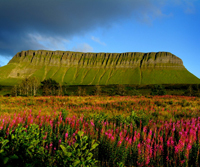 At Explore, we’re not just about sightseeing in Ireland, but experiencing the beauty of Ireland with all the senses! We will “Rock Your Senses” on our tours as we take you off the beaten tourism track to discover and experience more! There are many wonders to see and experience on an Explore Ireland Tour, from many old favourites such as the wild beauty of the Causeway Coast at the Giant’s Causeway to some of Ireland’s most prehistoric gems like the Neolithic Tombs at Bru Na Boinne. The sounds of Ireland are vast and varied from an unadulterated silence as you witness the tranquil beauty on the Sheep’s Head Peninsula to the resonance of the crashing surf against the soaring Cliffs of Moher. 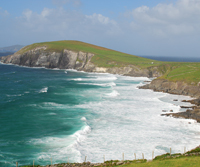 Feel the carpet of Ireland’s lush green grass cushion your feet as you walk amongst many stunning landscapes such as from the Great Western Greenway to Archill Island. 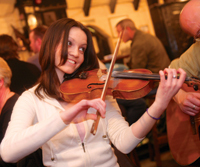 And when the sun sets in the sky, feel the rhythm of the beat to a traditional Irish jig in one of Dingle’s “hidden pubs”. Blessed with a bounty of local fresh produce, a journey with Explore Ireland Tours gives you the opportunity to taste sensational home grown Irish cuisine every day. Try local fish dishes in Kinsale (known as the gourmet capital of Ireland) or hearty traditional soups and stews on the famed Aran Islands. Follow your nose to Ireland, where you can absorb the clean fresh air on one of our stunning coastal walks such as the cliff walk along the Pilgrim’s Path in the pretty seaside village of Ardmore. 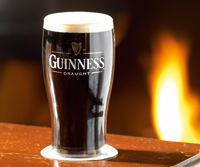 Alternatively enjoy the bewildering urban aroma of hops and barley as native Irish beers are brewed in Dublin, Cork and Kilkenny. 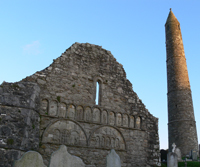 This entry was posted in Sabina's Secrets and tagged Activity Holidays in Ireland, Adventure Tours Ireland, Biking Tours of Ireland, Cycling Tours Ireland, Hiking Tours Ireland, Tours of Ireland, Walking Holidays Ireland. Bookmark the permalink.